Arsenal are in talks to sign PSG midfielder Christopher Nkunku on loan until the end of the season, according to reports in France. Unai Emery is desperate to had to his squad this month in order to achieve a top four finish this season but due to transfer restrictions the Spaniard can only sign players on loan rather than on a permanent deal. The Gunners have been linked with several loan moves this January, and Nkunku is the latest name to be added to the list. The 21-year-old is struggling for game time at PSG and L’Equipe (via Metro) suggests Arsenal could sign the midfielder on loan until the end of the season but with no option to buy in the summer. 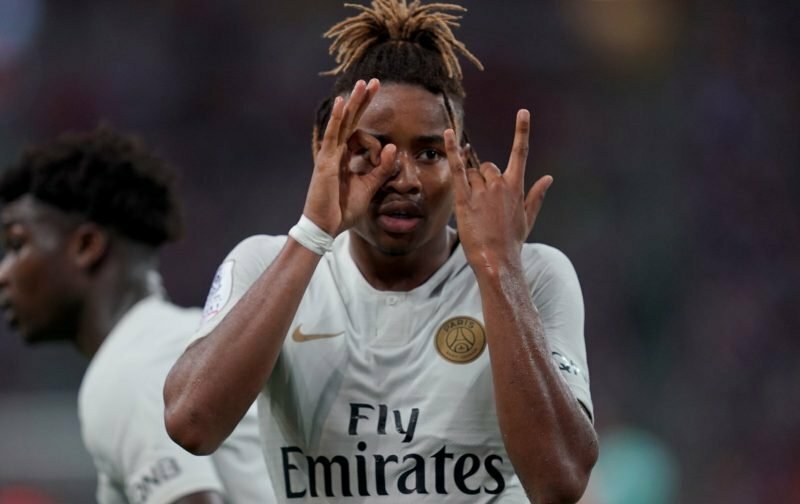 Nkunku has played 20 times in Ligue 1, scoring four goal along the way and his style of play would add another dimension to Arsenal’s midfield. However, Nkunku’s proposed move to Arsenal will hinge on whether PSG can find a replacement with Zenit’s Leandro Paredes as a possible candidate. Emery knows of Nkunku’s abilities and played a part in PSG’s treble season when the Spaniard was in charge and would welcome him at the Emirates.